One of Tranquility’s two comfortable treatment rooms, each accessed through elegant oak doors whilst each has its own heating/air conditioning and comfortable electrically operated treatment couch. Everything confirms both style and professionalism. 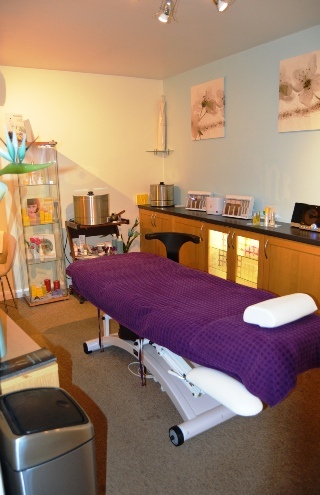 This is Room 1 which also includes our main nail treatment station.